The Dodge Challenger, which receives minor updating for 2012, combines the retro muscle-car looks of the past with the fuel efficiency and technology of the present, creating a unique ride that stands out from the crowd. Although the 2012 Challenger offers plenty of space in the cabin and trunk, the rear seat remains tight for taller adults, and some owners complain of visibility problems out the back as well as minor build-quality issues. While it may have a few drawbacks, the 2012 Dodge Challenger does a top-notch job of combining the retro muscle-car mystique of the early 1970s with the modern realities of functionality, performance and fuel economy. It's admittedly a tight line to walk, and Dodge doesn't always succeed in achieving its goals with the Challenger, but overall its efforts have paid off, and owners agree that the Challenger ably holds the line against such competitors as the Ford Mustang and Chevy Camaro. Reintroduced in 2008 as Dodge's response to the muscle-car resurgence led by Ford's Mustang and Chevy's Camaro, the Challenger gets some minor revamping for 2012. Updates include a new optional 18-speaker Harman Kardon audio system and new available steering-wheel-mounted paddle shifters. In addition, Dodge makes some adjustments to the Challenger's trim nomenclature and adds a new trim for 2012. 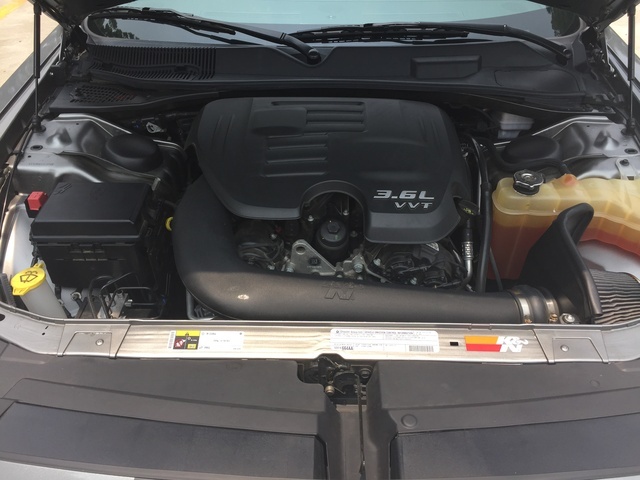 A 3.6-liter Pentastar V6 powers the Challenger's entry-level SXT (previously the SE) and SXT Plus trims, while the R/T, R/T Plus and R/T Classic get a 5.7-liter Hemi V8. For those who want to pump up the power to true muscle-car levels, the SRT8 392 and SRT8 Yellow Jacket boast a 6.4-liter Hemi V8. In addition, a new mid-level Rallye Redline trim also gets the Pentastar V6, but with an upgraded suspension and unique exterior features. With an exterior design that draws on the original muscle-car version of the early 1970s, the current Challenger features a 5-passenger, 2-door coupe body style with rear-wheel drive. The long hood and low cabin design create a bold, aggressive look, enhanced by a recessed chrome grille, round headlights and restyled trapezoidal front air dam. The rising sidelines at the hip, just before the rear wheels, make the Challenger appear as if it's ready to pounce forward, while the full-width taillights and dual rectangular exhaust pipes give the vehicle a distinctive appearance from the rear. The Challenger also receives a racing-style fuel door, and upper-level trims get foglights and rear spoilers. Beyond the basics, Dodge offers the Challenger with a wide range of add-ons and customization options, including unique exterior paint colors and a variety of wheel and front-to-fender strip designs. Dodge outfits the new Rallye Redline with a number of unique features, including performance hood scoops, a Redline Red center stripe, a body-color rear decklid spoiler and 20-inch Pitch Black wheels. R/T trims also receive several exterior enhancements, including hood-to-fender stripes and a body-color spoiler, along with automatic headlights and foglights. The SRT8 392 gets a functional hood scoop, a front chin spoiler, a rear spoiler and dual black center strips, while the STR8 Yellow Jacket displays full body stripes and unique 20-inch aluminum wheels, along with its distinctive Stinger Yellow exterior color. While the Challenger doesn't quite match the high-end performance of the Mustang and the Camaro, even when equipped with the top-line V8, and lags in fuel economy as well, it does deliver more interior cargo space and more legroom in the rear seat, making it a better option for speed enthusiasts who also have to pick up groceries or run the kids to soccer practice on occasion. Overall, the Challenger continues to move in the right direction, providing better handling and fuel economy than previous versions, thanks to upgrades made over the past year or two, and offering the mystique of a decades-old muscle car while making firm nods to the requirements of the present and future. Dodge equips the Challenger with a choice of fuel-efficient V6 or high-performance V8 engines. Although some testers question the validity of a muscle car powered by a V6, the Challenger's base 6-cylinder lightweight aluminum engine, which was introduced in 2011, delivers a relatively respectable 305 hp at 6,350 rpm and 268 lb-ft of torque. Powering the SXT, SXT Plus and new Rallye Redline trims, it features variable valve timing and mates to a 5-speed AutoStick automatic transmission with a manual-shift mode. On the Rallye Redline, the transmission includes a sport mode, which adjusts shift points for better performance. Similarly, the SXT and SXT Plus come equipped with a 2.65 rear axle ratio, which helps improve fuel economy, while the Rallye Redline trim gets a 3.06 rear axle ratio, which improves acceleration but reduces fuel economy slightly. As a result, fuel economy numbers for the SXT and SXT Plus check in at 18/27 mpg, while the Rallye Redline posts numbers of 17/25. The V6 uses regular unleaded gasoline. The R/T trims offer a truer muscle-car experience, thanks to the 5.7-liter Hemi V8 engine under their hoods. Also featuring variable valve timing, the V8 delivers 375 hp at 5,150 rpm and 410 lb-ft of torque at 4,300 rpm. It links to either the 6-speed automatic transmission or an available Tremec 6-speed manual transmission. Fuel economy numbers check in at 15/24 mpg. The R/Ts come with a 3.73 rear axle ratio, further improving acceleration and performance. The V8 requires premium fuel. New for 2012, Dodge offers optional steering-wheel-mounted paddle shifters for the SXT Plus, as well as for R/T trims equipped with the AutoStick automatic. At the top of the heap, the SRT8 392 and SRT8 Yellow Jacket get a big 6.4-liter SRT Hemi V8, which pumps up horsepower to 470 at 6,000 rpm and torque to 470 lb-ft at 4,200 rpm. It also links to a 6-speed manual transmission and manages fuel economy numbers of 14/23. Premium fuel is required. The SRT8 392 and SRT8 Yellow Jacket come equipped with an anti-spin differential rear axle with a 3.92 ratio. Both engines deliver plenty of power worthy of a muscle car, including the V6, which provides good overall balance and handling, due to its lighter weight. Testers also say it's relatively quiet and keeps vibrations to a minimum. However, some critics say the outdated 5-speed automatic doesn't do the V6 any favors. The V8s deliver a deeper, throatier growl reminiscent of earlier muscle-car powerplants, while ably driving the Challenger through its paces. The Challenger rides and handles surprisingly well for a large, heavy vehicle, testers say, thanks to updated suspensions introduced in 2011. While the Challenger still doesn't quite match the Mustang's tight sports-car handling, it's nimble in corners with responsive steering at high speeds. The braking systems also received an upgrade in 2011 and provide plenty of stopping power. Dodge offers the Challenger with 3 different rear-wheel-drive suspension tunings, paired with various high-performance wheel, tire and braking combinations. The SXT and SXT Plus receive the base sport-tuned suspension, which features an independent short- and long-arm front suspension and a 5-link configuration in the rear. Electro-hydraulic power-assisted rack-and-pinion steering comes standard. The SXT and SXT Plus ride on 18-inch aluminum wheels. The Rallye Redline, R/T trims and SRT8 trims receive an upgraded performance-tuned suspension designed to improve balance and steering responsiveness. The R/T and R/T Plus get 18-inch aluminum wheels, while the R/T Classic rides on 20-inch aluminum wheels. The SRT8 trims also receive performance-tuned hydraulic steering, Brembo brakes and an SRT exhaust system. In addition, Dodge offers an available Super Trak Pack suspension package, standard on the SRT8 trims, which includes high-performance monotube shock absorbers and springs and performance brakes, as well as 20-inch aluminum wheels with three-season performance tires. The Challenger's interior design doesn't quite have the panache of its exterior design. In fact, some critics call it bland and unexciting. But it does have room for 5 adults, as opposed to 4-seat competition like the Mustang and the Camaro, and its spacious trunk offers a best-in-class 16.2 cubic feet of cargo space. The front seats are roomy and supportive, but taller adults might find legroom a little tight in the second row. In addition, getting into the rear seat can be tricky sometimes with the heavy coupe doors, although the driver's seat features tilt-with-memory, which helps. Overall, reviewers say, the interior is functional and the materials are generally good quality, but some critics find too many hard plasticky surfaces, while others say the deep-set gauges can be difficult to read. Standard amenities in the base 2012 Challenger SXT include cloth upholstery, a 6-way power-adjustable driver’s seat with 4-way power lumbar and a 60/40-split folding rear seat. Both the tilt/telescopic steering wheel and shift knob are wrapped in leather. Illuminated cup holders, keyless entry, automatic climate control and speed-sensitive power locks are among the other standard features. In addition, the SXT comes equipped with the 6-speaker Uconnect media system, which includes an AM/FM radio, a CD player, an audio input jack and steering-wheel-mounted audio controls. The SXT Plus adds ParkSense rear parking assist, an auto-dimming rear-view mirror and an upgraded 276-watt audio system with Boston Acoustics speakers, SiriusXM satellite radio, Bluetooth and a USB port. The R/T trims add leather upholstery, and the Rallye Redline, R/T Plus and R/T Classic trims get heated front seats. The SRT8 392 adds a performance-oriented SRT leather-wrapped steering wheel and an upgraded Uconnect system with a 6.5-inch touchscreen and a 40GB hard drive, with two optional navigation systems. The special edition SRT8 Yellow Jacket also gets exclusive Nappa premium leather upholstery with a Yellow Jacket stripe insert. New for 2012, an optional 900-watt, 18-speaker Harman Kardon Surround Sound audio system for upper-level trims includes GreenEdge speakers and amplifiers. Although the Challenger's stablemate, the Dodge Charger, was named a Top Safety Pick by the IIHS, the organization has not crash-tested the Challenger. The NHTSA awarded the Challenger 4 out of 5 stars for protecting passengers during rollovers, but has not tested the vehicle for other types of crashes. The Challenger comes equipped with more than 45 standard safety features, including full-length side-curtain airbags and a driver’s knee bag, as well as electronic stability control, all-speed traction control, hill assist and 4-wheel ABS with brake assist and rain brake support. Dodge also includes a post-collision safety system. Owners remain most impressed with the Challenger's interior space and overall performance, as well as its exterior design. There's no doubt the Challenger stands out in a crowd, which draws the attention of buyers who are looking for something a little different. Some even say it's the best muscle car available today, especially when compared to the Mustang and Camaro, which have cramped cabins, according to owners. They also like the Challenger's ride and handling, thanks to the suspension upgrades in 2011. However, some owners report build-quality issues with the Challenger, as some have noted squeaks and rattles from the vehicle. The back seat remains tight for taller adults, owners say, and visibility out the rear can sometimes be limited. Owners also have commented about the inter-related and sometimes-confusing options packages, and a few complain about the under-performing 5-speed automatic. On the whole, however, owners remain very positive about the retro-sport coupe and say the efficiency of the base V6 engine does nothing to harm the Challenger's legendary image. What's your take on the 2012 Dodge Challenger? Brad Just got one used with 68K miles, love it. Users ranked 2012 Dodge Challenger against other cars which they drove/owned. Each ranking was based on 9 categories. Here is the summary of top rankings. 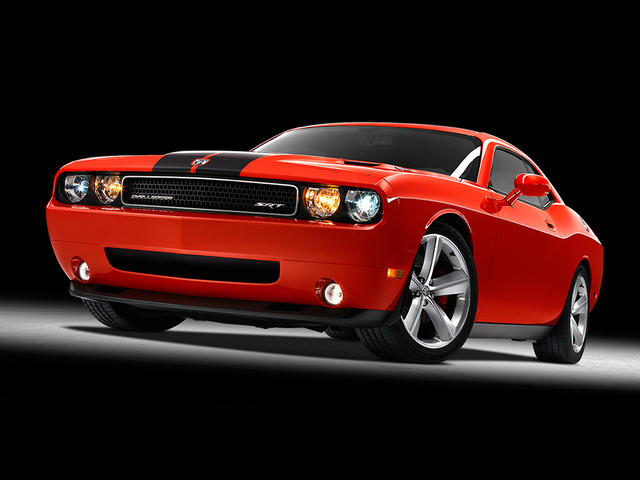 Have you driven a 2012 Dodge Challenger? My 2012 Dodge Challenger Is Rough Idling Won’t Excellerate . My 2012 Dodge Challenger is rough idling won’t excellerate have replace all the parts that codes are and including new battery. But codes are still coming up the same and hasn’t fixed the problem.